When most people think about drowning they think about someone with their head under water, but not all drownings happen this way. 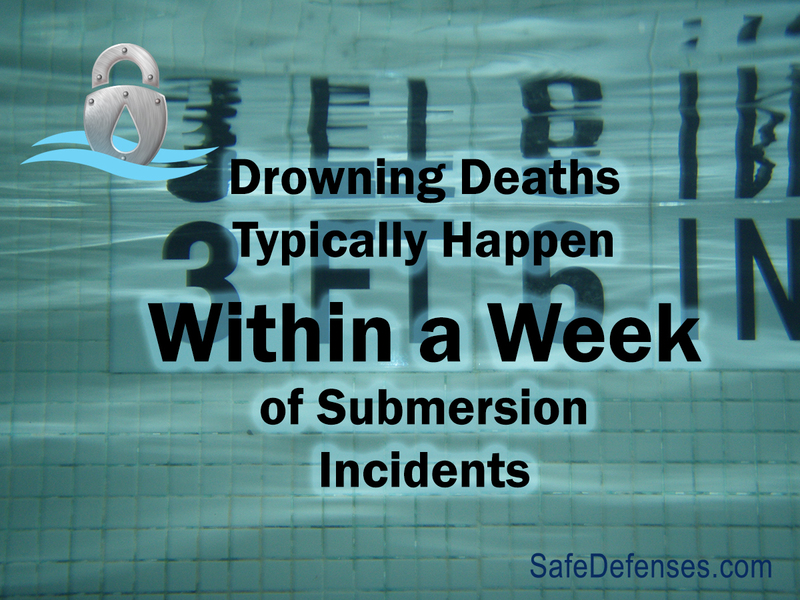 While most drownings begin with an incident of a child, or adult, falling into a large body of water such as a swimming pool, sometimes a person recovered from such an incident can drown later. 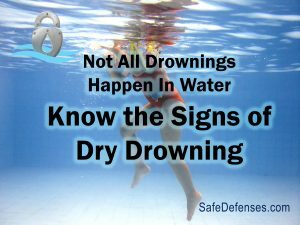 This is what is called “Dry Drowning.” This article will explain how dry drowning occurs and discuss some of the signs and symptoms of this more common than you think danger. Dry drowning, also known as secondary drowning, occurs when water has been breathed into the lungs, typically during swimming. Dry drowning is actually slightly different than secondary drowning, but the result is the same, drowning occurs hours or even days after the initial incident occurs. Dry drowning happens when breathing in water causes your child’s vocal chords to spasm and close up after leaving the pool, ocean, or lake. That shuts off his airways, making it hard to breathe. Secondary drowning is when the airways open up, letting water into the lungs where it builds up, causing inflammation and swelling in a condition called pulmonary edema. The end result in dry drowning and secondary drowning is virtually identical; difficulty breathing. While the incidents of dry drowning or secondary drowning are fairly uncommon, knowing the signs can help prevent it all together. If you think that your child, or another adult, is suffering from secondary drowning speak to a medical practitioner immediately. There are no home remedies available for this type of treatment, and care should come from a qualified treatment facility. Experiencing these signs after swimming, even if a possible drowning incident didn’t take place, may warrant further investigation. A Persistent Cough. Especially if no cough had occurred prior to swimming and if it’s associated with difficulty breathing. Difficulty Breathing. This can include rapid shallow breathing, nostril flaring, or where you can see between the child’s ribs or the gap above their collarbone when they breathe, means they’re working harder to breathe than normal. Increased Sleepiness. Your kid was just excitedly playing in the pool, and now is overly fatigued? It could be an indication that not enough oxygen is getting into to the blood. Don’t put your child to bed until a doctor gives you the go-ahead. Forgetfulness or Change in Behavior. Similar to increased sleepiness, a dip in oxygen level could cause your child to feel sick or woozy. Vomiting. Throwing up may be a sign of stress from the body as a result of the inflammation and sometimes a lack of oxygen, also from persistent coughing and gagging. Water Rescue. Any child pulled from the pool should seek medical evaluation. At the very least contacting your pediatrician is warranted.